Palm Cockatoo is the most amazing bird in Cape York. It is the most amazing looking of all Australian cockatoos. It is also the largest, and the smartest one of the lot. It is the only cockatoo to greet other group members, hold "meetings", drum, and use tools. It is also found in Papua New Guinea and Indonesia, but in Australia it is only found in parts of Cape York peninsula. It is not very common to see, but it's worth keeping your eyes open for them, you may just happen to be in the right spot at the right time! There is only one species of Palm Cockatoo - Probosciger aterrimus, and evolutionary it is the earliest member of the cockatoo family. Unlike parrots, which are also found in other parts of the world (particularly South America), cockatoos are only found in south east Asia and Australiasia. There are four different subspecies of palm cockatoo, three of them living in Indonesia and Papua New Guinea, and the one found in Australia is Probosciger aterrimus macgillivrayi. 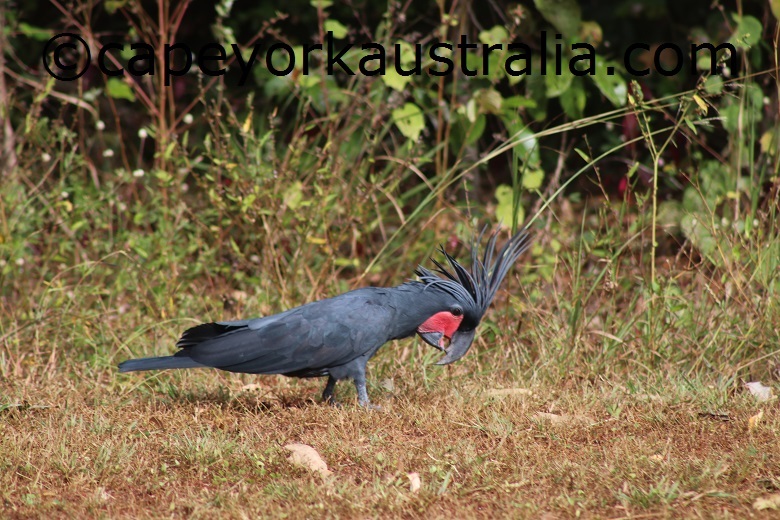 The Australian subspecies is only found on Cape York peninsula (north of Pormpuraaw in the west and Princess Charlotte Bay in the east) - nowhere else in Australia. 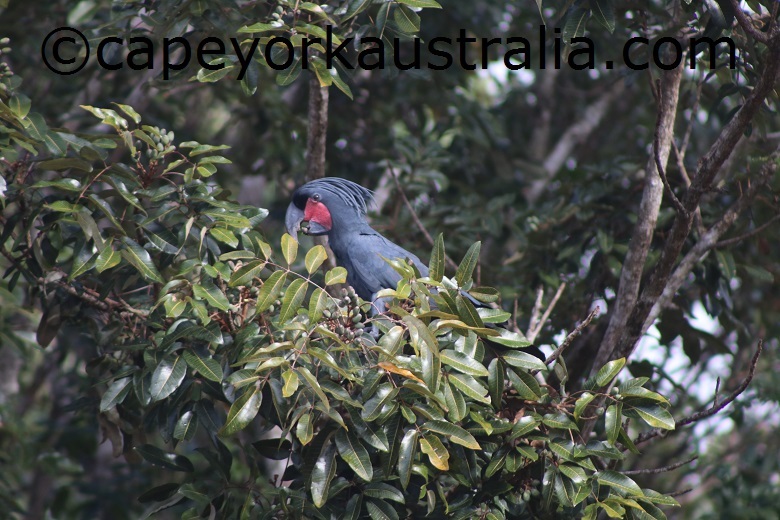 They live in tropical rainforests and tropical woodlands, particularly in the zone between the two, where the dominant tree species are acacias and eucalypts, particularly paperbarks. Palm Cockatoo can be up to 60cm long and weigh about a kilo. 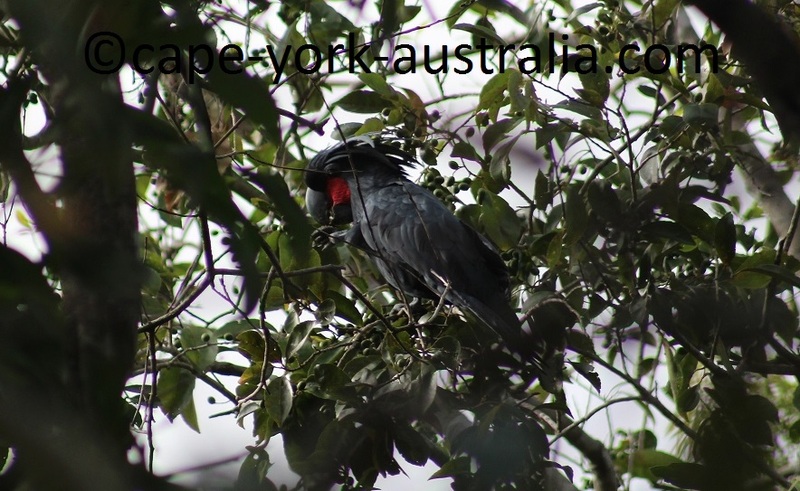 Its body is black, with a red patch on the face that goes deeper red when the bird is excited or alarmed. Like other cockatoos it has a crest, but it's huge, and it also has one of the largest bills of all cockatoos (the male's is larger than the female's). It has many different calls - whistles, piercing calls, and the 'hello' call that is almost human like. It is even known for different dialects throughout the species' range. Its behaviour is also unique. It's well known for its territorial displays where tools are used (without food as motivation - something that is very rare within the animal kingdom). Males break off a small branch from a live tree, cut it to a shorter section, peel off the bark and use it as a drumstick to drum against their hollow tree nest - with cheeks bright red, wings stretched out, and crest fully raised - as a show-off for females, an alert about a territory claim for competing males, or a celebration of a territorial dispute having been won. After drumming the stick is sometimes chopped into small pieces that are placed to line the nest. Drumming is most common to see from June to September although it can occur at any time of the year. Sometimes seed pods are used, and females sometimes drum with their beak. Palmies don't flock like many other cockatoos, but small groups of up to six individuals can be seen, most often at dusk or dawn. What Does Palm Cockatoo Eat? Palm cockatoos can be seen eating both on the ground and in the canopy, often in early mornings. They mainly eat nuts, fruits, seeds and berries. Some favourite species are Darwin stringybark, pandanus palm, black bean, beach almond, cocky apple, nonda tree and kanari tree. The upper and lower beak of the palmie don't meet properly - tongue is used to hold the food. 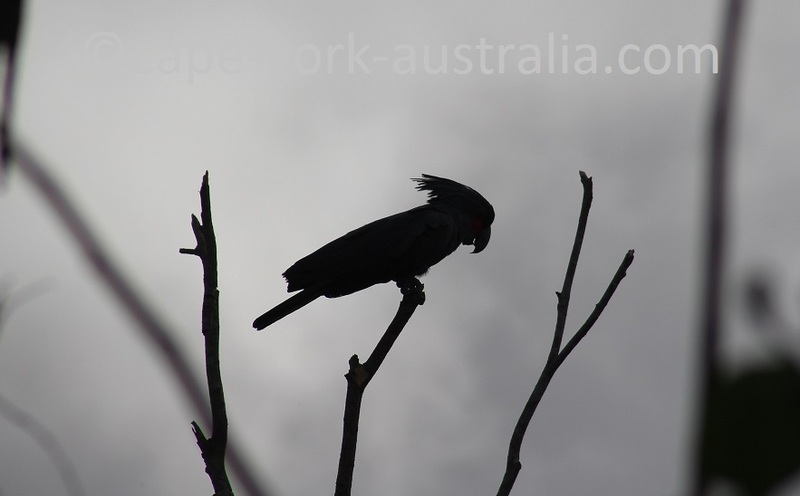 Their display territories are permanent, and nests, in hollow trees (often in eucalypts such as stringybark and bloodwood in the tropical woodlands), are maintained and defended all year around. Breeding season is between August and January. Courtship consists of foot stamping, raised crests and outspread wings. Both parents care for young. Only one egg is laid every second year, meaning the breeding success rates are low. Like other cockatoos they have a long life span - up to 90 years in captivity. The species is listed as nearly threatened. The adult population is small and breeding rates are low. They are sough after in pet trade which is illegal in Australia. The main threat to them is habitat destruction, as there are only so many hollow trees. 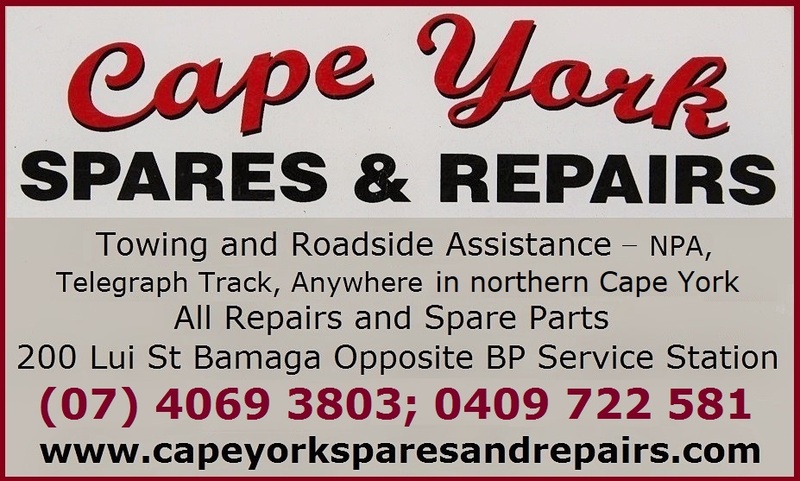 In Cape York, their particular threat is bauxite mining. Mines may have their revegetation rules, but that doesn't obviously replace the old growth trees with hollow nests that are necessary for palmies in their habitat. They nest in woodlands but feed in rainforests so they have specific habitat requirements which makes them even more vulnerable for habitat loss. 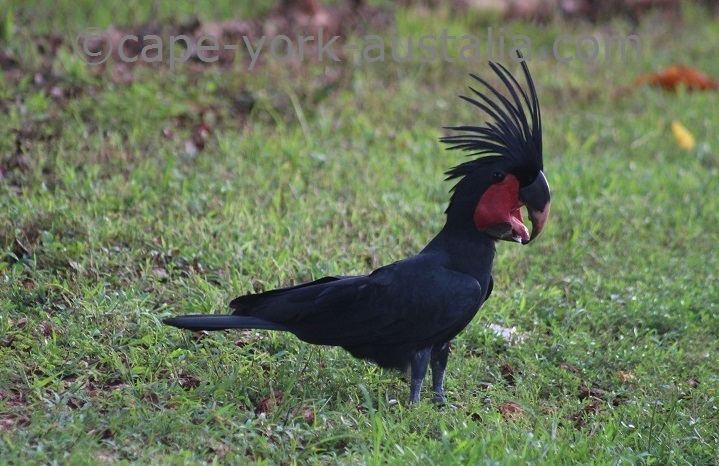 They are the most iconic birds in Cape York and they are already rare to see so any further loss of them would be a big loss for us. If you are as passionate about the "Palmie" as myself, you may like the book Life in the Cape York Rainforest . It has a whole chapter on palm cockatoos, with some interesting information and great photos. 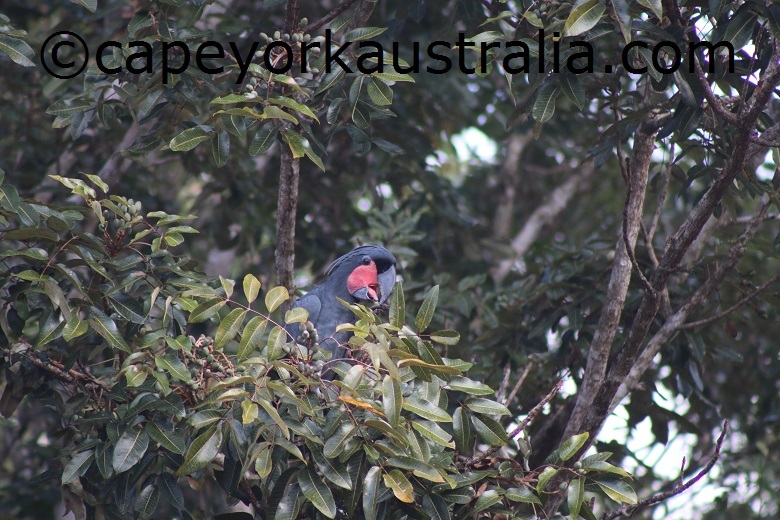 It also has chapters on eclectus parrots and green tree pythons, and information about other unique birds and animals that Cape York only shares with Papua New Guinea.